PT Adhi Persada Properti - APP or later known as Adhi Persada Properti is a reputable national property developer in Indonesia. PT Adhi Persada Properti is a directly-owned subsidiary company of PT Adhi Karya (Persero) Tbk (ADHI Group). 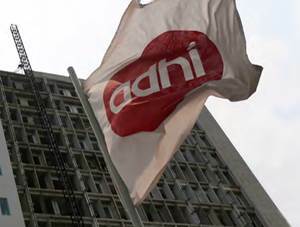 As of December 2016, ADHI Group - one of the largest state-owned construction companies in Indonesia - holds 99.7% of APP's shares. While the remaining 0.3% shares in APP is owned by Koperasi Jasa ADHI Sejahtera (Kojas). APP operates primarily as a high rise building and property developer. Its projects including apartments, condotels and ofﬁce towers. PT Adhi Persada Properti was formed in 2002 and initially registered as PT Adhi Realty. The name of PT Adhi Persada Properti was officially launched in 2012. APP is based in Bekasi West Java and its head office is registered at Grand Dhika City Building GF Floor - Jl HM Joyomartono Km 16 Exit Toll Bekasi Timur Bekasi 17113. Good looking and have an ideal weight. Minimum S1 degree, preferably majoring in Communication. Able to analyze and evaluate property activities (planning promotion and handle event). Placement at Taman Melati Apartment Project Jatinangor Sumedang. JobsCDC.com now available on android device. Download now on Google Play here. Please be aware of recruitment fraud. The entire stage of this selection process is free of charge. PT Adhi Persada Properti - Marcomm Staff APP ADHI Group October 2018 will never ask for fees or upfront payments for any purposes during the recruitment process such as transportation and accommodation.